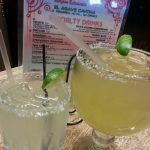 Review: Dining out on the patio at Scenic Loop Cafe provided the perfect environment for partaking in some serious margarita research. 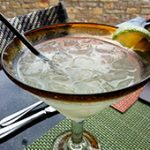 The ingredients for our top shelf margarita were hand picked from the menu listing of various tequilas and orange liqueurs. 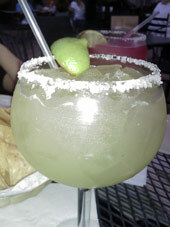 This was a notably flavorful margarita but the saccharine taste slightly outweighed the agave. 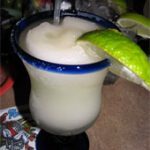 A bump in tequila or recalculation of sugar or mix could potentially make this a special drink. 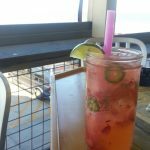 On the other hand, the finely balanced sangria margarita could possibly be one of the best we’ve tasted.